Travel by bus now is so convenient nowadays. Although there are so many budget airlines to Kuala Lumpur from Singapore, why are there so many people that still prefer to take a bus back? Taking a bus is more comfortable. There are so many super VIP buses 27 seat bus with spacious seats and large seating space between the front rows and your seats. You can incline your eats to almost 70deg. While taking plane, unless you are taking 1st class seats, the economy seats are normally small. Bus tickets are cheap compared to plane tickets. There is no airport tax, you do not need to pay any of this charges. Imagine taking a bus from Singapore to Kuala Lumpur; it only costs you $30.Total travelling times are almost comparable. You do not need to check in 2 hours earlier prior to departure. And also, the travelling time from airport to your house is normally much further than the local bus station to your house. You can use your mobile phone in the bus, but not in the plane. You can always chat with your love ones while you are travelling by bus. There are many buses from Kuala Lumpur to Penang and recently, there are so many bus companies offering in bus entertainment, meaning you can always watch movie in the bus while travelling by bus to Penang. And also, they serve food in the bus. Their services provided are almost comparable to 1st class seats in an air plane. There are many buses plying the route Malaysia-Singapore dail. Express buses to Kuala Lumpur or major towns in Peninsular Malaysia - Express buses or coaches from Singapore to Malaysia are available in all the major spots in the city. You can take a bus ticket from any of the bus boarding points or even book your ticket online. 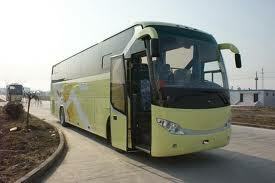 There is a bus on every hour to Malacca and other placesin Malaysia. 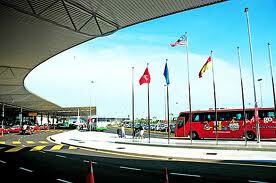 You can board a bus to LCCT as well. Some buses are equipped with the latest and modern facility of power points for electronics and a business class lounge in the double deck coaches. The lounge can adjust about 5 people. Delicious food and beverages are also served while travelling. Drivers are highly professional and make use of the GPS systems installed. Safety of the passengers is always the first priority. The coaches are fitted with the latest electromagnetic and hydraulic retarders that enable the driver to stop the bus without using the standard brakes. It is the most convenient way to travel between these destinations. We are seeing this all over the world! Motorcoach travel is becoming more and more popular - and with the price of gas, it is also a 'greener' way to travel in comfort - in almost every country!